This morning, I turned on my Scooba and it started beeping a scale of tones and blinking all its lights in sequence. After an hour or so of resetting, cleaning, disassembling, researching, and scratching my head, I stumbled across the solution on Roomba Review. But, for me at least, it was even easier than all of that. I don't have any of my own pictures for this procedure, but it's pretty straight forward. Replace the bumper shell and screws. 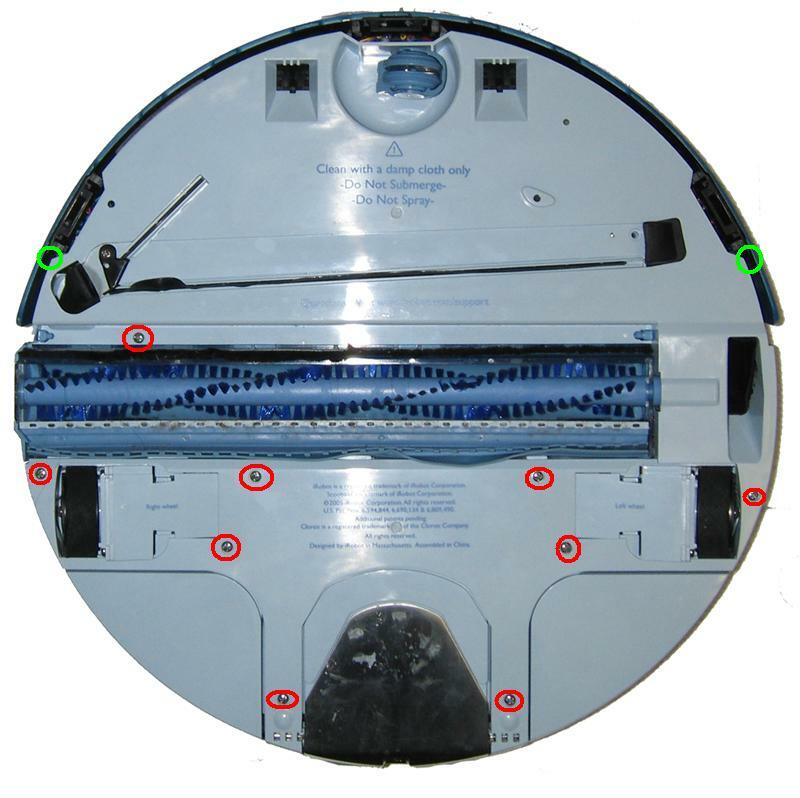 It turns out that this "unfixable" (according to iRobot) problem is usually just some moisture under the contacts in the control panel.